We hope your day started with a lovely cup of coffee or a nice cup of tea. May it end with beautiful memories! Wir hoffen euer Tag begann mit einem leckerem Kaffee oder einer gepflegten Tasse Tee. Möge er mit angenehmsten Erinnerungen enden! We wish that all your days will start happy and stay like this. And now we say “Goodbye!” We are holidaying for one month. We, the Bookfayries, are already very very excited because we will go with our beloved Master and our dear Dina first to the Farne Islands and then further north to the Highlands – and this for a whole month! 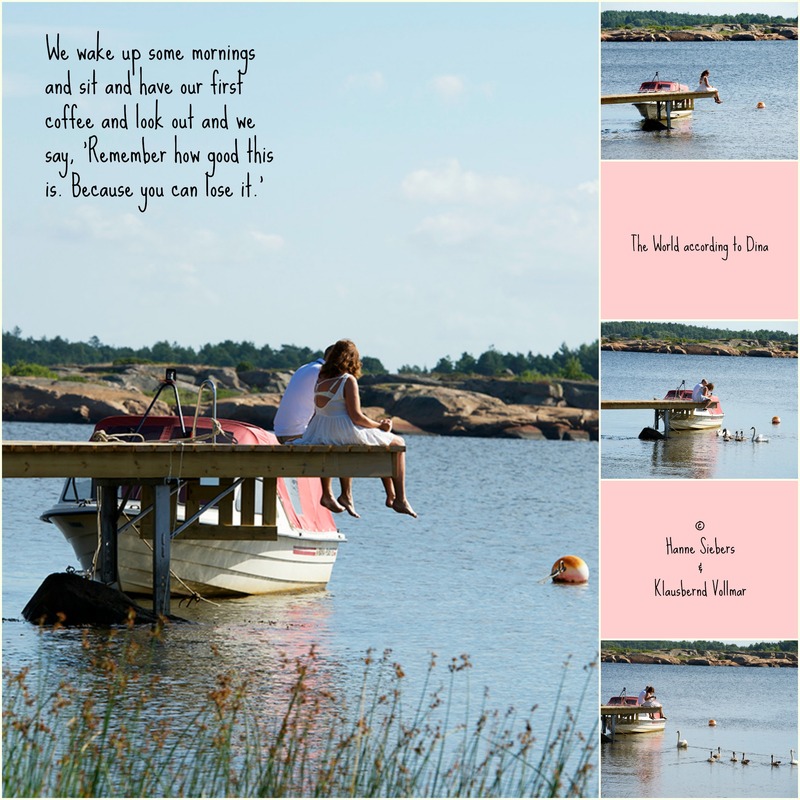 This entry was posted in Norway and tagged Hvaler, Morning coffee, Norway. Bookmark the permalink. Danke schön für deine liebe grüße, viel Spas in den Ferien Ich werde wieder da sein. Oh, was für schöne Bilder. Ich habe zwar auch einen guten Kaffee getrunken heute morgen, aber längst nicht so toll die Beine baumeln lassen können und mein Ausblick ging auch nur bis zum Bildschirm. So habe ich dann Eure Bilder als ganz wunderbaren Ersatz gehabt. Ich wünsche Euch eine tolle und erholsame Zeit – und bleib Euch natürlich treu! Yes, my day started with strong coffee made with pure Norwegian water. The memories that will be created later today will be “first time” and “exciting” ones — a short trip on the Statsraad Lehmkuhl! I wish the four of you a fantastic month long holiday. Such an exciting part of the world you’ll be visiting! I know the photos and words you’ll share when you get home will make me feel as if I’ve been with you. Thank you. And have a great time! Look forward to reading all about it when you return. …Euch einen wunderschönen Aufnethalt in Schottland mit nicht allzuviel Regen und vielen tollen Möglichkeiten zum Fotografieren. En hyggelig start på dagen å lese dette innlegget og å se på bildene. Det oser av god stemning og idyll! er laangt inn i onsdagen! Idyllic! Simply idyllic! Fair winds and fair seas to you for the Farne Islands; a perfect finish to summer. Enjoy the islands, and the puffins and seals! Look forward to hearing (and seeing) about all your adventures when you return. I had to go and look up information about the Farne Islands–and now I want to go there! Have a wonderful holiday! Safe traveling – wishing you all the best your holiday has to offer – and take plenty of photos for us!! Enjoy!! Hope you all have a wonderful holiday – relaxing, safe (and with a photo or two to share – I’ve never hear of Farne Island – I’m just about to do a Google search). cder gute Pott Kaffee steht noch neben mir. 🙂 Ohne den geht naemlich am Morgen nix bei mir! Und in der Kaffeemaschine wird noch mehr warmgehalten. Ich denke, ich muss demnaechst einmal ueber meine Morgenroutine bloggen. Oh!! That first cuppa to greet the day :). Farne and the seabird colonies – greatly looking forward to your stories and photos. All the best. Have a wonderful holiday. We will miss you but will smile as we imagine all the lovely adventures you are having. A tranquil start to the day is sublime. Have a fantastic, relaxing yet invigorating holiday. A perfect beginning to a day makes a perfect end more likely… Great photo, and enjoy your holiday! Drink a coffee each morning and live in the moment! Cheers to you both! Have a wonderful time! Life is so good. Sounds like a fun holiday. Take lots of pics! Enjoy your trip up North, I really envy you this time! I agree with Annalena; the summer morning coffee pics are great and I’d love to close the door to my office in Weimar and join you up North. Do you know that some birds from Svalbard escape the hard arctic winter and go to the Holy Island of Lindisfarne – and nowhere else? I suppose you do. Now enjoy your holidays, have a fabulous time! Thanks for your wishes Great photo .Have a good time. To have a cup of coffee on the pier like that would be a great morning!! Hugs and happy travels 🙂 That is such a wonderful image with the dangling legs. I’m off in search of a second cup of coffee. It will be chilly in the Farnes. Ihr Lieben! Ich wuensche Euch von Herzen eine schoene Ferienzeit und viel Spass. Freue mich auf Eure Ferienberichte, wenn Ihr wieder zu Hause seid. Wünsche euch tolle Ferien in Schottland, komme gerade von dort zurück :-). Habe trotz Regen (aber er machte ausser 4 Tagen Dauerregen immer mal ne Pause) viele schöne Fotos machen können, es war einfach schön dort ! This was a wonderful post….have a great holiday! Ihr habt es wundervoll dort ! Ich wünsche euch einen traumhaften urlaub und freue mich schon auf tolle fotos, die ihr sicher mitbringen werdet ❤ grüsse aus nürnberg ! Was ist da los, so lange können doch nicht 3 Wochen sein! Seid ihr jetzt in Schottland verschollen? Spanned auf diesen Fotos, sie trinken gemütlich Kaffe und plötzlich erscheint eine ganze Schwanenfamilie! Trinken sie Milchkaffee oder schwarz? Modisch muss ich anmerken, dass da bei einem rückenfreien Kleid natürlich die Optik nicht ganz so toll ist…. Naja, die Spannung steigt, auf euren Reisebericht und die Urlaubsfotos…..
nun sind wir von Schottland zurück und werden in den nächsten Tagen auch wieder mit dem Bloggen beginnen. Sei gespannt. The closer I get to retirement, the more I know I could live that quiet life–as long as I had an internet connection. Love the quote: Remember how good this is because you can lose it. So very, very true. We need to appreciate the good times so much more. 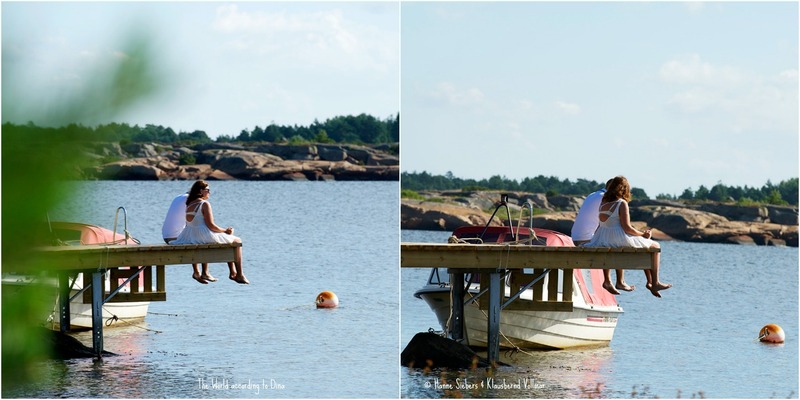 Lovely photos and enticing post! Så, det er ikke rart jeg liker deres innlegg og bilder. 🙂 Hade godt!